You won't hear this jet coming! Airplane would carry 215 passengers and be as noisy as a washing machine. 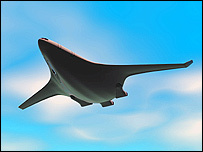 A team of U.S. and British researchers has unveiled the conceptual design for a near-silent, environmentally friendly passenger plane. 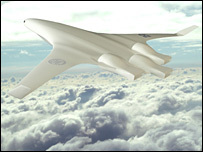 The SAX-40, which has been developed by the Cambridge-MIT Institute, is a radically different shape of aircraft. "For passengers we think it will be like flying in a cinema or theater seat." 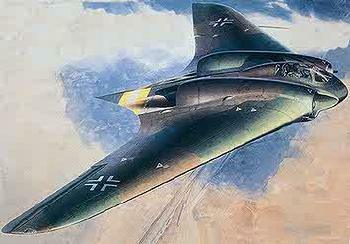 The design employs a "blended wing" and a tailless fuselage with engines mounted on top in a similar style to the current Stealth spy-planes - a radically different form of commercial aircraft to the fleets that are currently in the air. - the airframe is as smooth as possible. 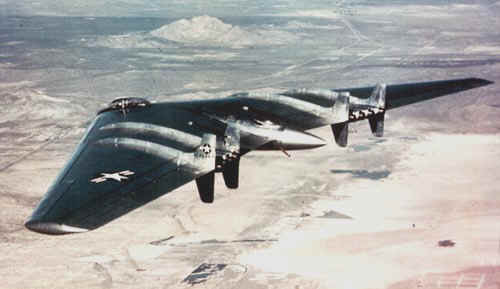 - no flaps on the wings, which are a major source of airframe noise on conventional aircraft. - the design does not need a tail, which cuts down on turbulent airflow and noise from the back of the plane. 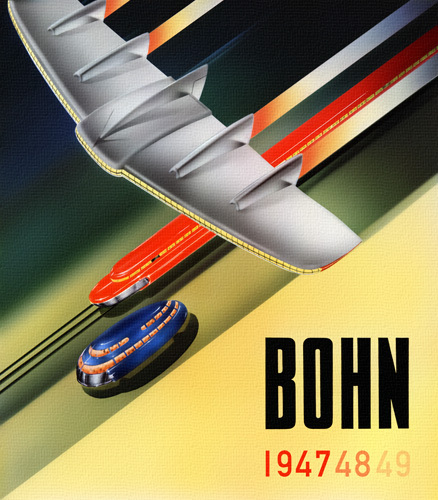 - engines are embedded into the body of the aircraft. 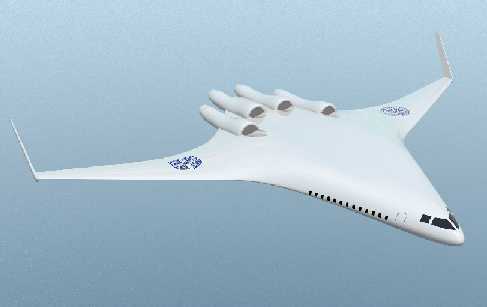 The proposed plane has a 68-metre wingspan and is 44 metres long, comparable in size to a Boeing 767. 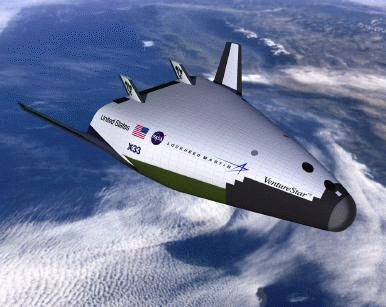 "You take the fuselage and you squish it, and you spread it out, and it's an all-lifting body," said Zoltan Spakovsky, an associate aeronautics professor at MIT who was a chief engineer on the project. I've been wondering about the possibility of a better designe ear-friendly plane. cool plane but the silhouette looks like a penguin about to leap into the water. LOL... did not think about that! If you go back 40 years ago in the EAA (Experimental Aircraft Association), you will see a very similar but simpler homebuilt aircraft called the Delta Dyke. This new one has the same concepts, but more bells and whistles. 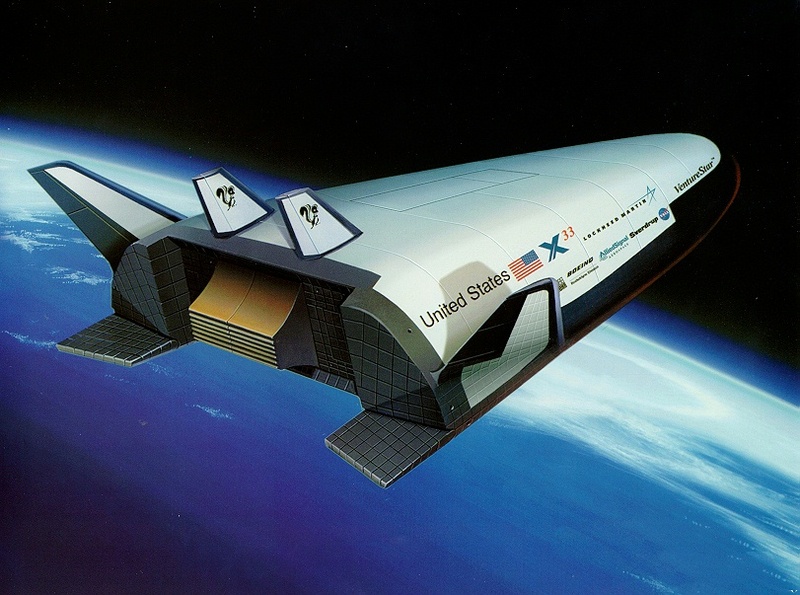 They are actually waveriders -- a quite specific subset of lifting bodies, optimized for hypersonic performance. >They are actually waveriders -- a quite specific subset of lifting bodies, optimized for hypersonic performance.